Have a good look at the exposed joists in your basement and attic. Do you see ceramic knobs with electrical wires snaking through? If so, your house has knob-and-tube wiring. Even if you don’t find them here, they can still be inside your walls. Ceramic knobs support individual strands of wire along their run. Ceramic tubes protect the wire where it passes through wall studs or floor joists. There are concerns with this old wiring method. Among them are overheating, deteriorating insulation, improper connections, and lack of grounding. Knob-and-tube wiring can only hold moderate currents. Nowadays, the electrical demands for the average house are far greater. Microwaves, dishwashers, air conditioners, toasters, and computers have greater electrical loads. The old knob-and-tube wires get much hotter and can become a fire hazard. 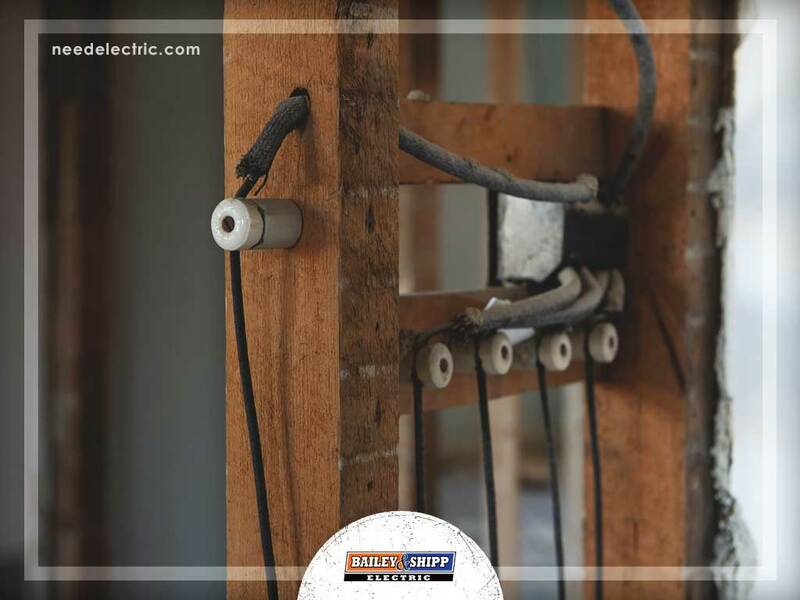 Consult Bailey & Shipp, residential electrical repair expert, for your home’s ideal wiring. This old wiring method is usually hidden inside walls, making it difficult to remove. Neither homeowners nor inspectors can discover flaws without opening walls or making holes. These overloaded and improper circuits often lead to overheating, sparking, and full-blown fires. Most insurance companies don’t insure or renew policies on houses with this wiring. Even if you get the basic insurance, your policy will cost more than a newer home without knob-and-tube. So don’t wait for old wiring to cause a problem. Avail of our generator installation services and have our professional electricians perform an inspection. We’ll give you proper advice on wiring replacement. Bailey & Shipp is here in Columbia, MD, to serve you. Call us at (410) 927-8606 for a free estimate.